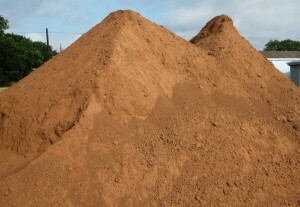 This is a listing of our standard soil mixes and materials. Special blends can be made by request. Need some help, check out the Resources & Landscaper List page! Lightening Mix is a combination of decomposed granite and composted materials that maintains evenly distributed moisture and drainage. It is a good soil blend for xeriscapes and succulents such as cactus and agave. Pro Mix is our signature garden soil developed by Dad over a 3 year period in his own garden and flower beds. It is a good perennial bed mix and it is our recommended vegetable garden blend. Pro Mix contains 50% composted materials, pecan shell mulch, fish emulsion, pond sand and granite. 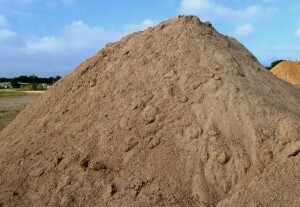 This is a loam free material. Lawn Dressing (not pictured) is a mixture of 70% compost and 30% pond sand. It is used as a topical application for a lawn, to build up your turf or as a soil/garden amendment. Apply at a rate of 1/4 to 1/2 inch across the top of the grass once to twice yearly to add nutrients and condition the existing top soil. It is important to water well 1-4 times after application. Fish emulsion is a bulk material that we utilize in many of our soil blends to improve water retention. It is a delayed reaction compost source that will activate within 6-8 months depending on weather and water conditions, an added bonus! 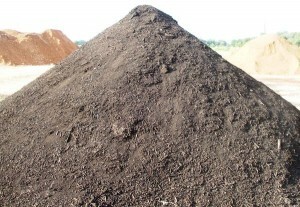 Fine Grind Hardwood Mulch or landscaping mulch is a rich dark brown color. It is a great bedding mulch that will help conserve water and condition the soil. Our choice for vegetable garden mulch. 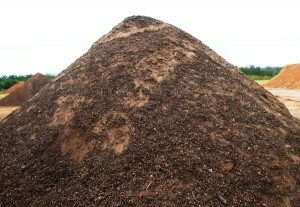 Fine Grind Native Cedar Mulch is chestnut brown coloration. 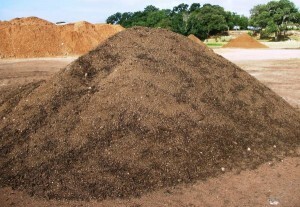 Good mulch for bedding and adding contrast to landscaping projects. Due to the nature of cedar and the oils produced, it is a natural pest repellent and does take longer to break down. Not recommended for vegetable gardens. Single Grind Cedar Mulch is a larger sized mulch. As with the finer cedar, it is a natural pest repellent and is commonly used to keep undergrowth areas under control, in playscapes and as pathways. 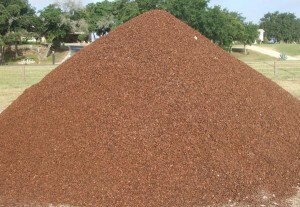 Pecan Shell Mulch is crushed aged and partially composted pecan shells. 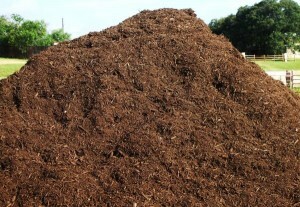 It is a wonderful mulch that will not float or blow away and it can also be used as a bedding amendment. 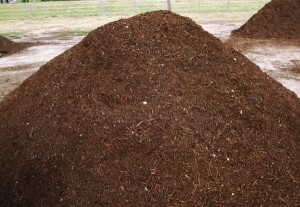 It is dark brown to red in color and is an organic alternative to the popular red dyed mulch. 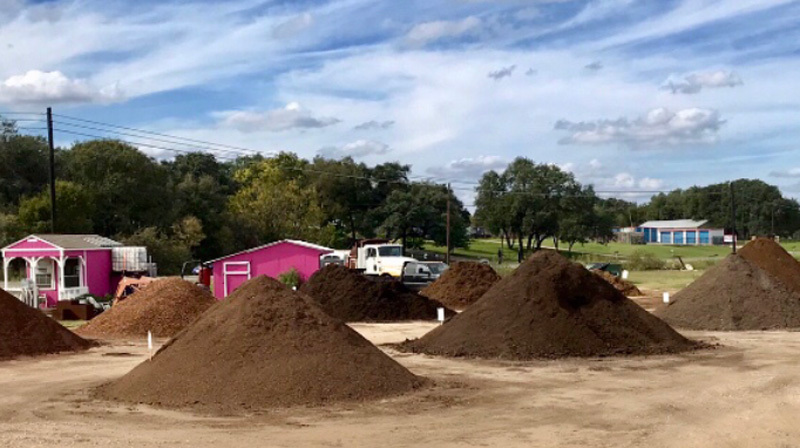 Texas Organic Compost Fine screened and aged composted recycled forest products with enriched soil and composted matter. Turkey Manure Compost (not pictured) Clean sourced aged turkey manure mixed with mulch screenings. Typically has a lower pH than other compost which is beneficial to amend alkaline soil or add to existing vegetable gardens or flower beds. 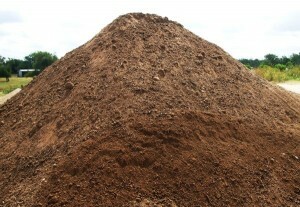 Dillo Dirt compost. It is a good amendment for existing gardens or as a lawn dressing. 1 cubic yard will cover approximately 1000 square feet applied at the rate of one quarter inch. Decomposed Granite which is burnt orange to pink in color and is commonly used for pathways (Town Lake Hike and Bike trail). We keep 1/2″ minus in stock but additional sizes are available by request and may be an additional charge per cubic yard. Loam (fill dirt) Loam soils generally contain more humus (inorganic metabolic medium) than sandy soils and are easier to till than clay soils. 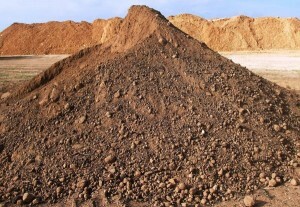 Loam is considered ideal base agricultural uses because once mixed with compost it retains nutrients and water while still allowing excess water to drain away. Coarse Fill Sand A coarse sand used in a wide variety of applications from cement to soil blends to improve drainage, ideal for use as a filler under concrete, pavers, and other landscaping projects. 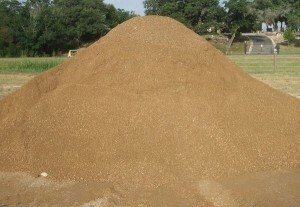 Masonry Sand (not pictured) Fine washed sand commonly used in mortar or mason work. Colorado River Gravel (1″ minus, 2″ and 3″+) Mined locally along the Colorado river valley. Mostly cream and brown coloration sprinkled with black, orange, purple and pink. 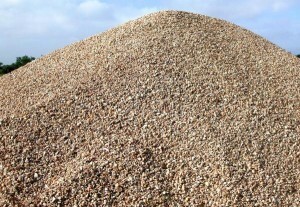 It is the most frequently used decorative gravel around the Austin area. 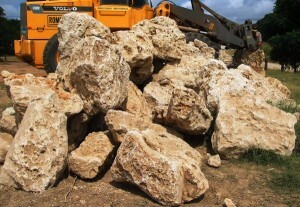 Limestone Cave (Landscaping) Boulders ranging from 6″ to 36″ in size. 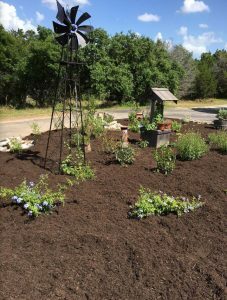 Great native visual amendment to xeriscape or landscaped beds. 3/4 to dust base a more finely screened base material that works well as a base foundation for concrete work, path way base or any other project that requires a more smooth surface. Screened Base 1 3/4″ limestone base that is best for roadways and pads that need to be built up greater than 3″.